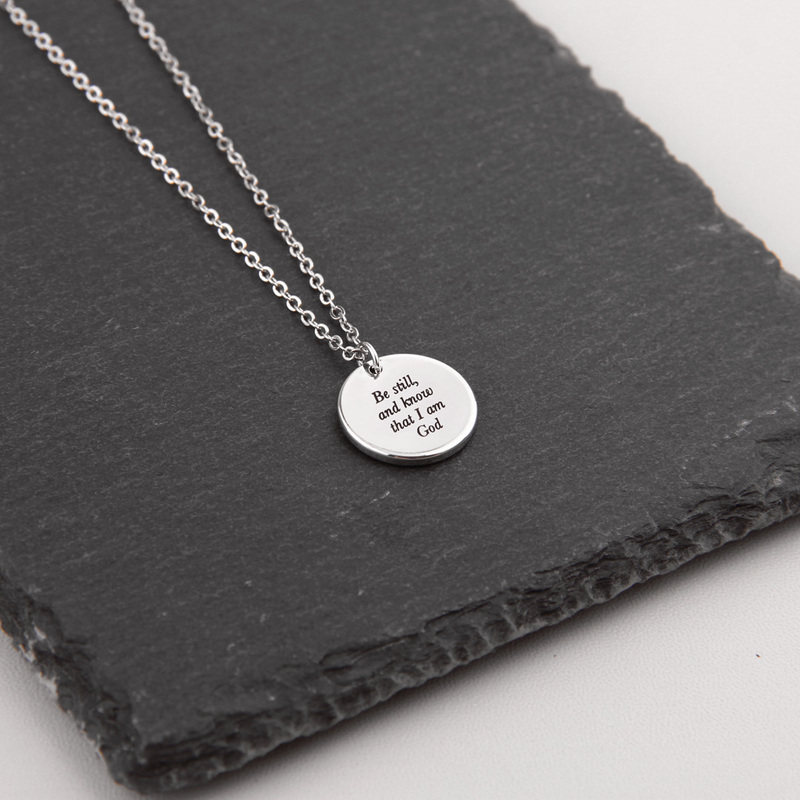 Your favourite quote or statement beautifully engraved in rhodium plated pendant! 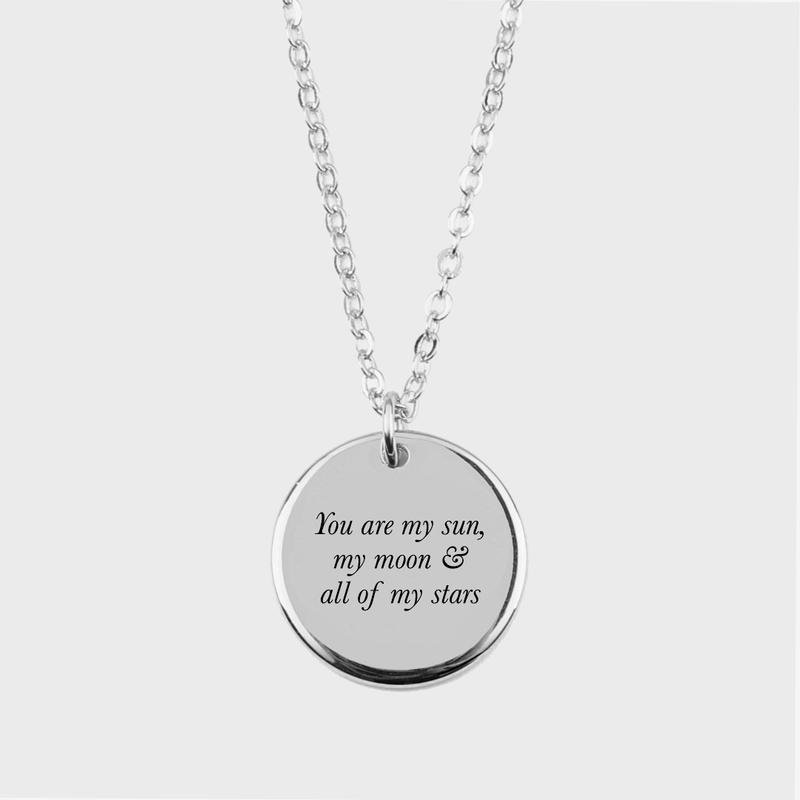 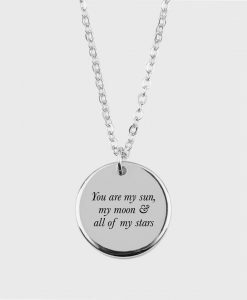 Please write the quote/message to be engraved on this polished circle pendant in the note section provided below. 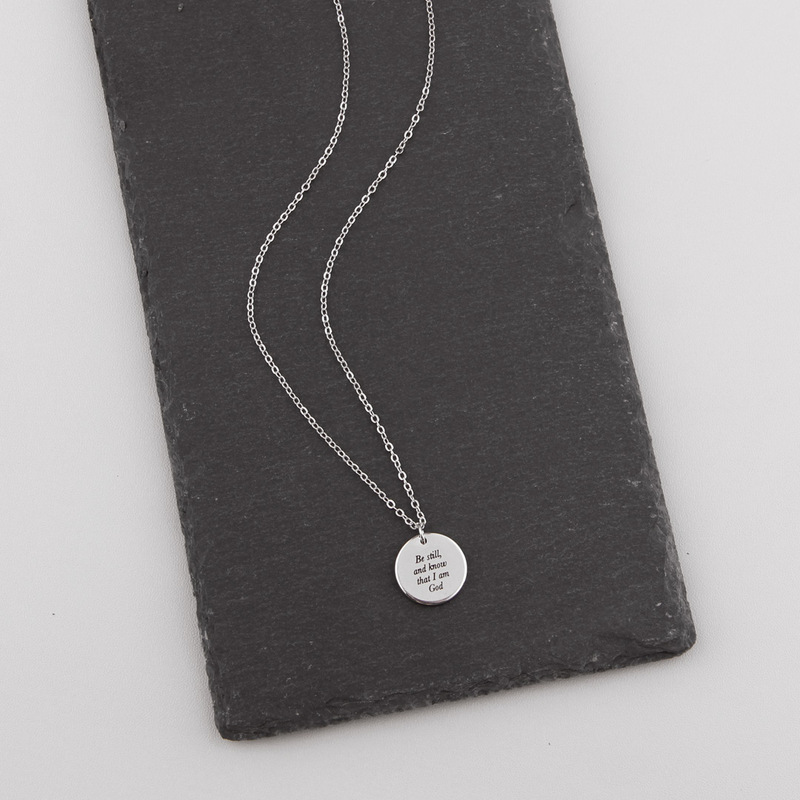 Maximum of 75 characters. 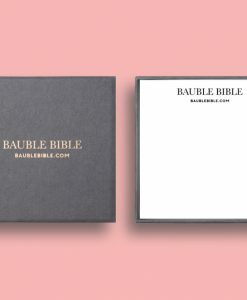 Please note that due to customisation process, the word arrangement in the final result may varies. 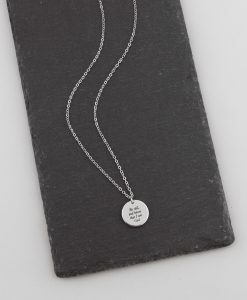 The quote/message will be produced exactly as submitted and in accordance to the product’s personalisation standards. 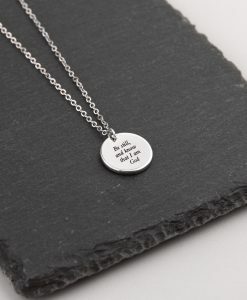 This gorgeous necklace will make its way to you in a premium gift box with Bauble Bible logo, perfect for gift-giving or keeping as a little present for yourself! 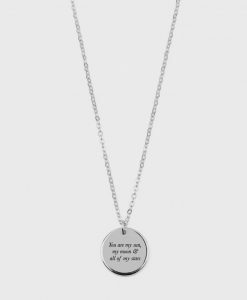 Due to the personalised nature of the necklace this item can not be returned. Pendant is 15mm diameter, hung on a 41cm rhodium plated chain. 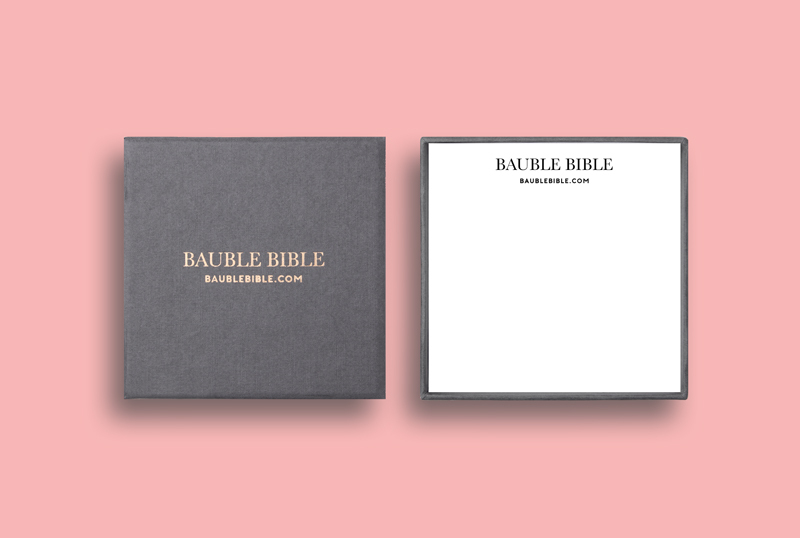 Will arrive presented in a Bauble Bible gift box ready for gift giving.